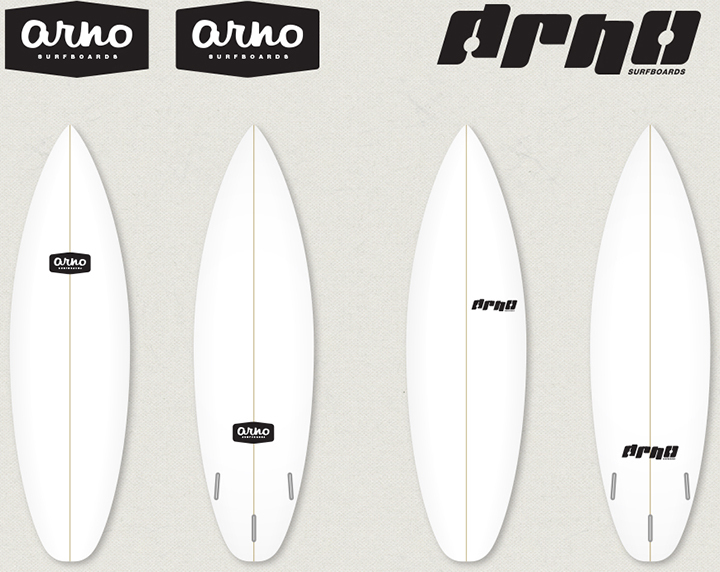 Arno is a small San Francisco surfboard brand run by Mitch, a friend of mine. Mitch shapes both regular shortboards and fishes and wanted a logo to represent his brand. I ended up designing two logo directions for the different style of boards he makes, one being more retro, while the other being more dynamic and appropriate for a shortboard.